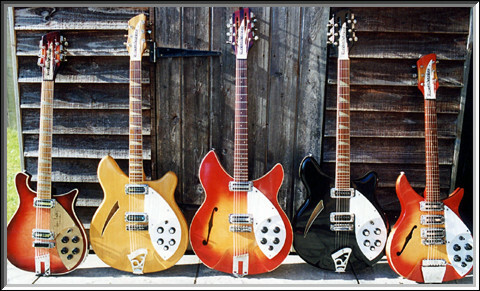 Left to right: 1991 660/12TP (belonging to Steve Hogarth), 1966 360 (many changed parts), 1964 1993, 1976 360/12, 1964 1996. 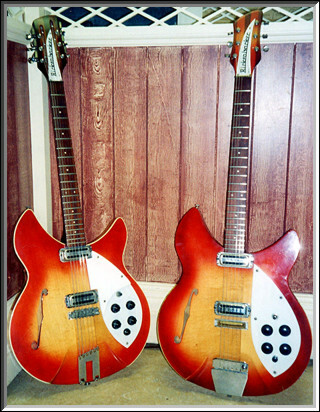 Model 1993 (left) and Model 1997 (right), with the vibrato handle missing. Both instruments from 1964.